Home and property owners often enhance their landscapes with the beautiful lantana, but some of the plant’s varieties may escape yards, spread to areas where they shouldn’t go and cross-pollinate Florida’s native lantana. That’s why, in 2004, the head of the Tampa Bay Wholesale Growers Association asked University of Florida plant scientist Zhanao Deng if he could breed sterile, non-invasive lantana plants. Deng met the challenge and more than a decade later, he has developed two varieties that satisfy nursery managers, retailers and consumers. Bloomify™ Rose and Bloomify™ Red are beautiful – so they will continue to enhance landscapes – but they don’t produce fruit and seeds, don’t spread and don’t cross-pollinate Florida’s native lantana, Lantana depressa, said Deng, a professor of environmental horticulture at the UF Institute of Food and Agricultural Sciences. Rick Brown, who owns the Riverview Flower Farm in Riverview, Florida, has sold the new varieties for about a year and can attest to their assets. The most widely cultivated lantana plants, Lantana camara, which are native to the West Indies, were first introduced to the United Stated in the 1800s. In Florida, lantana can grow in forests, roadsides, pastures and citrus groves, according to the UF/IFAS Center for Aquatic and Invasive Plants. Through seed production and dispersal, lantana spreads and survives beyond home landscapes. The fruit are especially toxic to livestock. Deng is trying to control the lantana’s invasive nature. “Genetic sterilization of invasive or potentially invasive landscape plants and development of non-invasive cultivars are a necessity,” said Deng, a faculty member at the UF/IFAS Gulf Coast Research and Education Center in Balm, Florida. That’s true not only for the local growers and industries in Florida, but nationwide, he said. 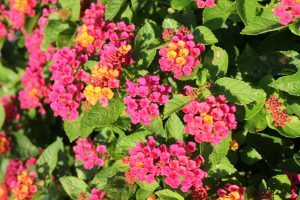 Two large horticultural companies have tested the new kinds of lantana and their results show the cultivars can do well in other states as well, Deng said. He and Sandra Wilson, a UF/IFAS environmental horticulture professor, tested Deng’s new cultivars in central and South Florida and found they produce flowers almost year-round in those regions, Deng said. Like other types of lantana, these two new varieties attract butterflies and are drought- and salt-tolerant. 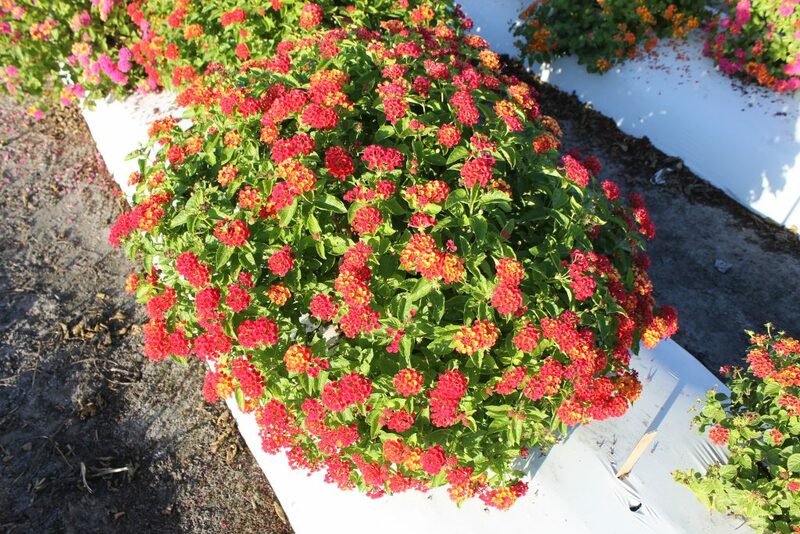 Although current economic impact figures are not available, Florida nursery managers estimated annual sales value of more than $40 million for lantana commercially grown in Florida, according to a 2003 report from UF/IFAS. In 2001, the Florida Nursery Growers and Landscape Association, led by CEO Ben Bolusky, called on its members to stop producing and using invasive or potentially invasive plants. FNGLA also considered the development of sterile, non-invasive cultivars a high priority item for funding.